My favorite place to scurry off to when I need a quick break from uptight reality is Asheville, North Carolina. Although it’s only about 90 miles from Sevierville, Tennessee, where I live, it is a universe away in attitude. East Tennessee is a land of chain restaurants, traffic jams, and people with a mission. Interstate 40 runs through Knoxville, and is no place for amateur drivers; it’s lane after lane of eighteen-wheelers delivering everything from massive construction equipment to goods for the local WalMarts. Sevierville lies just off I-40 through a tangle of construction called Winfield Dunn Parkway. Year round, it’s clogged with traffic: tourists trying to get to Dollywood or the Great Smoky Mountains, locals commuting to better-paying jobs in Knoxville. Impatient drivers become stupid drivers; they change lanes without warning, block intersections, and pull out into oncoming traffic in a vain attempt to get anywhere at all. All of this creates an uptight aura that permeates everything in town. It’s not that people are hostile; they’re just busy and tired. I know the feeling well. My husband and I dread going out to run even a simple errand because it’s just draining. So, when it all becomes too much, we head off to Asheville, North Carolina, where the ambiance is entirely different. 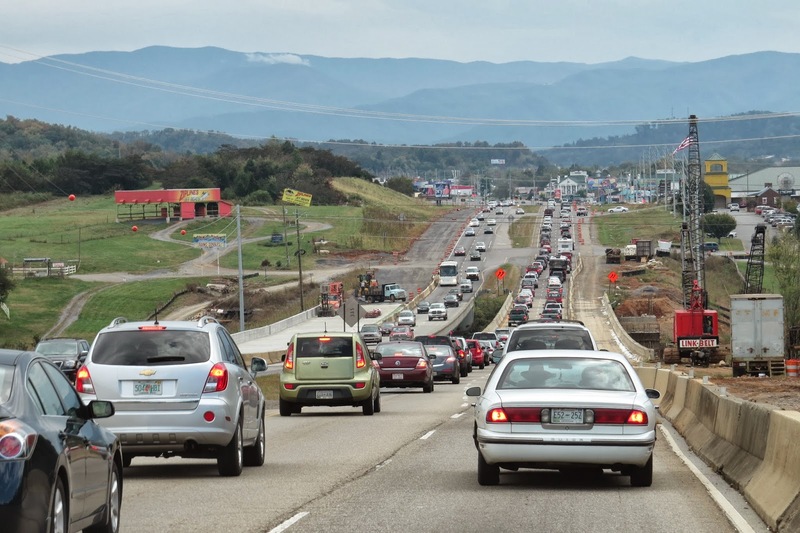 Heavy traffic enters Asheville, but because it is not a main thoroughfare, few large trucks impair views, and people seem to move with purpose and caution, rather than a frenzied need to just get off the road. Instead of the conglomeration of chain hotels and restaurants, Asheville is suffused with a breath of originality that comes from tiny locally-owned restaurants and small boutique hotels and inns. It isn’t a place for crowds; it’s a place for individuals. A huge part of the Asheville experience is music. You can find music in Sevier County, but it’s in huge, $50 a ticket extravaganzas. In Asheville, every little spot has live music. At one of these places, we discovered Hank West and the Smokin’ Hots. (Check them out here.) This group of young men are all remarkable musicians; band leader Hank West makes his trumpet sing and the drummer is a phenomenon to watch. The quirky, original songs are full of energy and best categorized as jazz exotica. We paid nothing to see this show. At yet another venue, we saw Three Cool Cats, a group performing rock favorites from the 50s and 60s. They had the whole place dancing and having fun: again no charge. Another of our favorite Asheville bands is Westsound Productions. 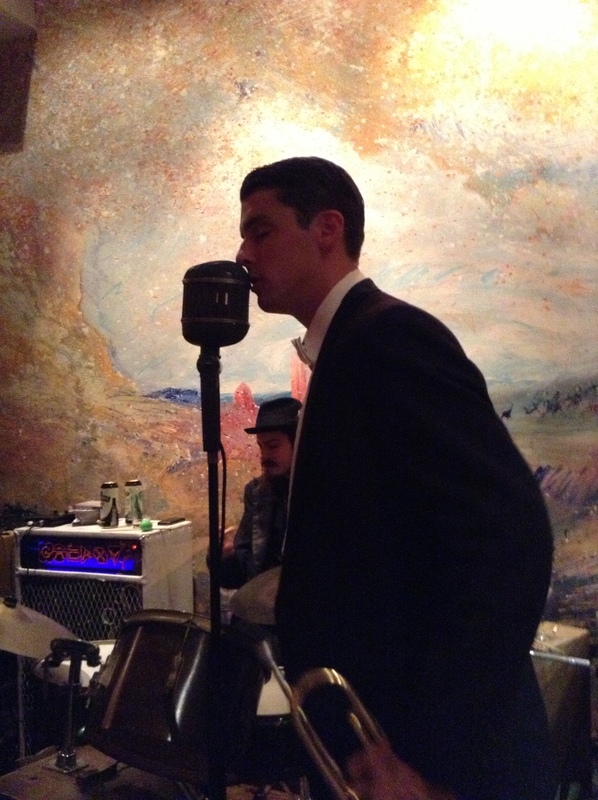 This amazing group performs Motown favorites, and their lead singer can work a room and get everyone involved. Again, the show was free. You see all sorts of people dancing everywhere, from people taking swing dance classes, to those just having fun; people easily in their seventies alongside those in their twenties. This would never happen in Sevierville. We’re just too self conscious here. I know I am. But in Asheville, my hubby and I reclaimed our youth, recalling our meeting in college dance class by joining the fun on the dance floor. At each venue, we gladly donated generously to the tip jar for shows we had far more fun attending than I’m sure we would have had sitting quietly in our seats at the $50 venues at home. Everyone seems so relaxed in Asheville. Maye it’s the good music; maybe it’s the fabulous food–which I want to explore in a later post; maybe it’s just a magical place. I’m just glad it’s close enough to ease the tension from my real life from time to time.